Discovered by Michael Ondaatje, Davies' dazzling literary memoir has shades of Mary Karr, Anne Lamott, and Jenny Lawson. Some women are born mothers, some achieve motherhood, others have motherhood thrust upon them. Dawn Davies is in the third category. A six-foot-tall divorcee, she isn't chatty, couldn't care less about anyone's potty training progress, doesn't care to share her own children's milestones with people who don't love them. But even if she has never fit in with other moms, she has raised three children with her own particular brand of fierce, unflagging love. In stories that cut to the quick, we see Davies grow from a young girl who moves to a new town every couple of years; to a misfit teenager who finds solace in a local music scene; to an adrift twenty-something who summons inner strength as she holds the hand of a dying stranger; to a woman dealing with difficult pregnancies and postpartum depression. And in her powerful titular story, we see Davies struggling with the weight of knowing that her son is deeply troubled. not humor, Davies has written a book about what it's like to be a woman trying to carve a place for herself in the world, no matter how unyielding the rock can be. It is a moonless night, dark and rare, and the heat is oppressive, the kind of heat where a deep breath leaves you unsatisfied, suspicious that there was nothing life-giving at all in what you've inhaled, and you are left air-hungry, wet at the pits, forehead greasy with sweat, wishing for the night to be over, for your daughters to exhaust their energy, to cool their dense, hot centers enough to sleep for one more night in this summer that seems to stretch into your future like a planetary ring full of debris, circling forever around something it can't escape. It is thickly hot and you hate it. I truly enjoyed reading this book and would certainly recommend it to anyone who enjoys memoirs of the not-rich and not-famous. It would be a great discussion selection for a reading group (Beth C). I believe it would raise some interesting points for conversation on motherhood, luck and the "payback fairy" (Carol F). Fans of Nora Ephron and Anne LaMott might recognize some of their traits in Davies' writing (Linda J). Definitely a book I will recommend to anyone (Diane T). (Reviewed by BookBrowse First Impression Reviewers). Powerful debut...startling, tragic, and ultimately redemptive.... Whether perceptively exploring joy or anguish, Davies digs deeply. Funny, insightful…Davies uses her oodles of talent to remind readers that human beings are never just one thing, and in her essays we see a whole life revealed…Her writing jumps from the page as Davies bares her soul, holding nothing back. Readers will laugh and cry, probably at the same time. Beautiful and painful all at once. 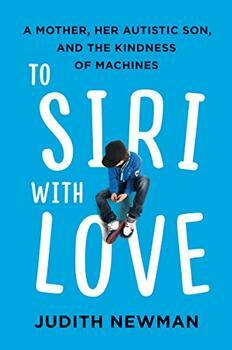 A heartbreakingly honest book that I couldn't put down. In Mothers of Sparta, Dawn Davies writes like an avenging angel. Her stories are poetic, moving, provocative, and bracingly honest as she trains her lucid gaze on some of life's deepest complexities: In the face of terror, betrayal, and impending loss, how do we love? And what does that love cost us? I've never read a book quite like this one, shot through with the light of an extraordinary talent and spirit. In Mothers of Sparta, author Dawn Davies compares herself and her decisions about her son to those made by mothers in Ancient Sparta. Sparta was a city-state in Greece that reached its pinnacle in the 5th century BCE. Its name, now and then, conjures up the image of powerful warriors that thrived on austerity and deprivation. Its entire culture was focused on creating and maintaining the strongest army it could. Unlike other contemporary cities, Sparta had no defensive walls because they believed their men were stronger than any structure. 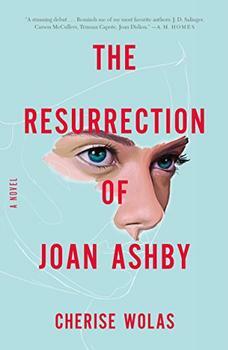 Epic, propulsive, incredibly ambitious, and dazzlingly written, The Resurrection of Joan Ashby is a story about sacrifice and motherhood, the burdens of expectation and genius. Cherise Wolas's gorgeous debut introduces an indelible heroine candid about her struggles and unapologetic in her ambition.